These are eyelet heim bearings, which fit Works Performance shock eyelets, and are used in conjunction with step bushings to mount the shock(s) onto the vehicle mounting points. These are Stainless steel, and are Teflon lined.. They replace the older style metal-on-metal heims which had a groove on the outer race that Works Performance Used. These are much higher quality, operate smoother, and will last indefinitely longer than the old steel-on-steel ones. 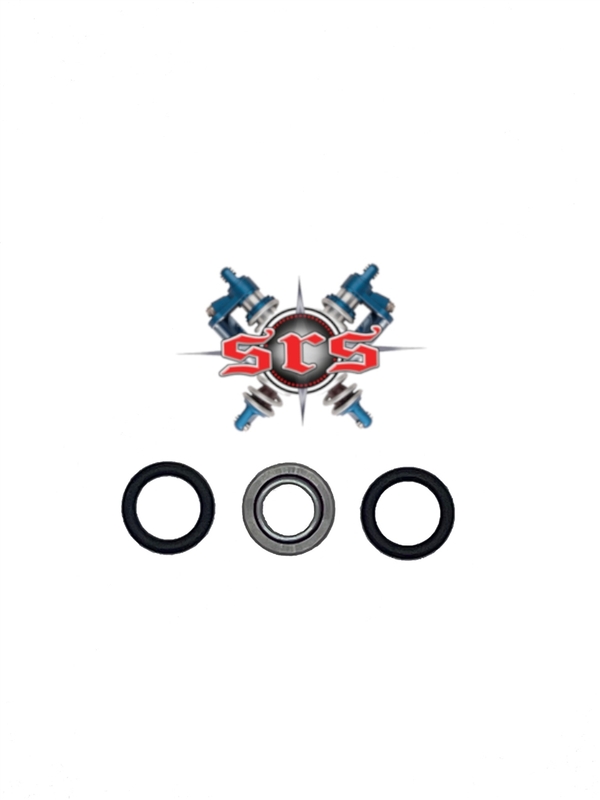 Each heim bearing comes with (2) replacement o-rings for the outer step mounting bushings... These stainless steel heim bearings are pressed into the shock eyelets, and replace the older style metal-on-metal heims , or can also replace & update your shocks if you have the thin walled Delrin sleeve style wear bushings in your eyelets. That would would also require new heim style step bushings to mount to your vehicle once the switch is made to the heim bearing.. It is a bit more expensive up front , but the new bearings will last lot longer!